The Willow Foundation provides special days out to seriously ill 16-40 year olds. The Willow Foundation was very close to Robin’s heart, having experienced a “special day out” with his dad in 2010. Robin was so appreciative and supports this charity, so that others may have a special experience. In March 2013, Brain Tumour UK merged with The Brain Tumour Charity. The total amount raised for BTUK up to May 2013 is £7907.00. A new page has been created linking to The Brain Tumour Charity – this is now active on our welcome page. Robin, chose to support Brain Tumour UK to help raise awareness and funds to improve treatment and the lives of others. Robin experienced the quality care provided by the Coventry Myton specialists. 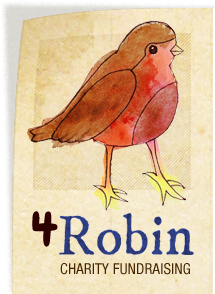 Robin asked us to support Myton Hospice in providing care for others.